I so looooveee Althea! From their products to their packaging they never fail to make a lass happy. You get affordable and authentic Korean Products that are delivered right to your doorstep in a sturdy, pretty box that you can re-use. It actually looks like a subscription box! 1. Snow White White Blending Base Cushion (Php720) 2. Elizavecca Skin Liar Primer (Php240) 3. Witch's Pouch Selfie Awesome Gel Liner (Php270) 4. It's My Brush Auto Lip Brush (Php140) 5. It's My Brush Carve Foundation Brush (Php180) *Do keep in my mind though that the prices here are discounted and may change at any time. 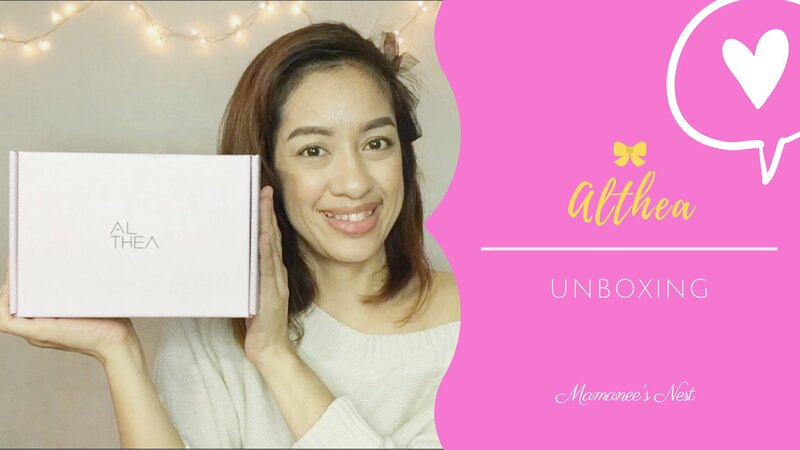 Currently, Althea is celebrating it's 1st birthday and have an on-going promo where you can win amazing prizes just by greeting them on Instagram with your Althea Birthday kit, read about it here. Celebrate with Althea today and get your Limited Edition Birthday Box by logging online at the Althea Website <---- use this link to get a discount. :) You can also like Althea Philippines on Facebook as well as Follow them on Instagram. Do you have any favorite Althea Products lasses? Sayang nahuli ako sumali... Products of Althea is worth buying..